Phuket is a favourite vacation spot because of its beaches, food and nightlife. It’s one of those affordable holiday destinations that you could take your entire family to without breaking the bank, or if you want to spoil your other half with some needed luxury. Whether you want to dive in the Andaman Sea, explore the surrounding islands or immerse yourself in authentic Thai culture, Phuket has much to offer. 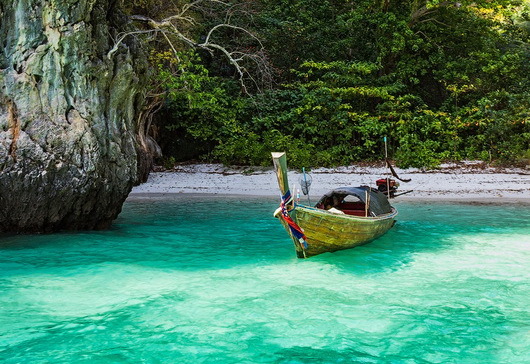 Here, we recommend some of the must-dos when visiting the second-smallest province of Thailand. Yup, this attraction is named after one of the James Bond films when it was shot here in 1974. 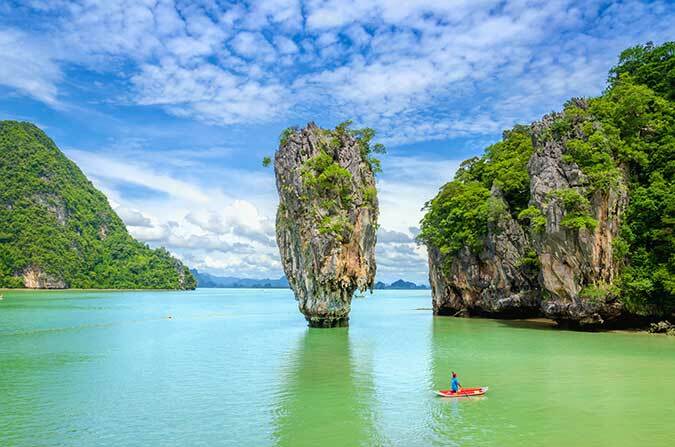 Situated 25 kilometres north-east of Phuket, you can join a day tour that costs approximately THB1,964 according to City Discovery, and cruise to Phang Nga Bay, consisting of several towering limestone cliffs that stand tall out of the waters. This picturesque landscape is not only made for photo memories, as many of the cruises also offer kayaking through the hidden lagoons and tiny passageways. Make sure to duck when your guides tell you to, as many of these passageways have low-lying ceilings and you don’t want to come back bruised. 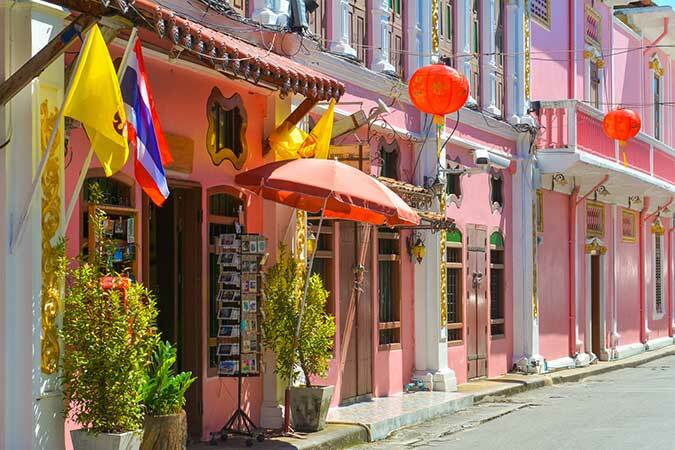 For those looking to explore the island like a local, head to Old Phuket Town. Located in the old historic section of Phuket Town, this is where you’ll find temples, shrines, and Sino-colonial buildings that have been restored and transformed into colourful shophouses and cafes. Asia Web Direct advises to visit the area early in the morning or later in the day when it’s less hot, and make sure to wear comfortable footwear, sunglasses and a hat. The personality of the area continues to live at night with many bars and restaurants that locals and tourists love. 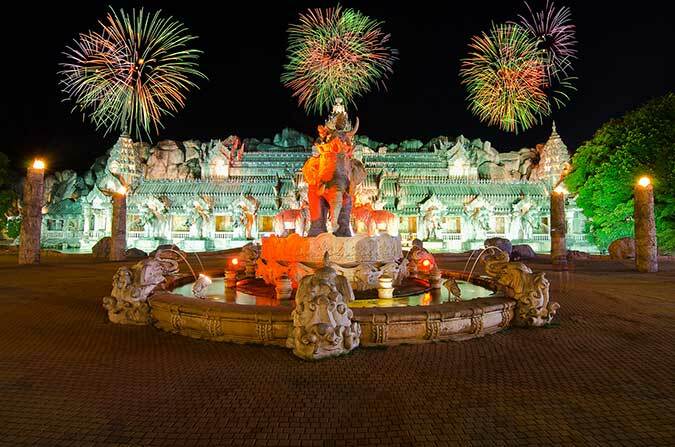 The Phuket FantaSea Show is a must-visit if you’re looking for something that will delight your senses. Inspired by Thailand’s rich and exotic heritage, the show is enhanced by innovative technology and special effects that are bound to charm. The theatrical show is held at the theme park in Kamala Beach that boasts a carnival village of handicrafts, games, shopping and a 4,000-seat restaurant where you can savour a smorgasbord of Thai and international cuisines. We can recommend purchasing the show and buffet package – at an extra of approximately THB393 for an adult, you’d be silly not to fork out for the buffet. 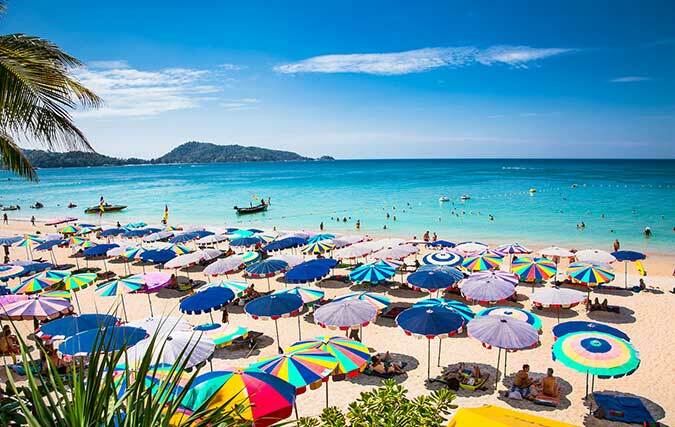 You can’t visit Phuket and not swing by Patong Beach for its vibrancy and attractions. Famous for some of the best nightlife on the island, you’ll find all sorts of activities like Asia’s biggest transvestite show, Simon Cabaret. Other places of interest include Kathu Waterfall, Patong Boxing Stadium, and Kathu Mining Museum, just to name a few. If you prefer a more relaxing time on the beach, this town has a few hidden gems such as Freedom Beach. Although it can be difficult to access, Freedom Beach is surrounded by tree-filled hills and granite rocks and its 300-metre strip is complete with white sand. For snorkelling lovers, this beach hosts some beautiful sea life at the shallow waters of both ends. The story behind the Big Buddha came about when a group of friends chanced upon this location that boasted 360-degrees vistas during their hike through the Nakkerd Hills. 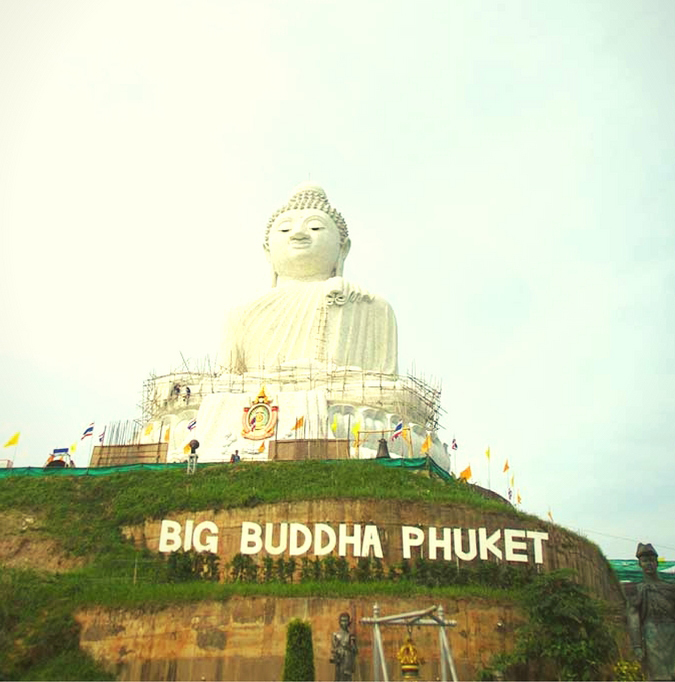 They saw Kata and the Andaman Sea in one direction and Chalong Bay on the other, and after several discussions, the friends set upon building a giant structure of Lord Buddha with donations. Popular with both Buddhist locals and tourists, this attraction brings in massive crowds so be prepared. As this is a religious site, avoid beachwear or inappropriate clothes. If you plan to visit for your much-needed holiday, your CLUB WYNDHAM ASIA resort, Wyndham Sea Pearl Resort Phuket, that is suitable for all. 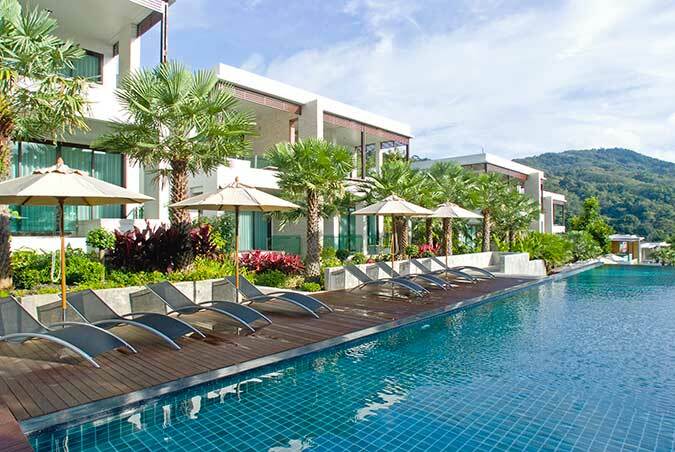 Set on Patong Hill, the luxurious resort is an eight-minute drive or 30-minute walk to the famous Patong Beach. All apartments have balconies that come with hot tubs or you can upgrade to rooms that offer access to a semi-private pool. There’s also two restaurants on site and a total of eight pools, so you will never run out of places to swim or relax. This Thai island is a friendly, tropical travel destination that boasts activities suitable for all ages, and always a great getaway any time of the year. You can always find holiday deals including all-inclusive packages so if you have been wishing for some sun and sea fun, stop dreaming and book those flights.